Of course, if you choose to focus instead on St. Valentine’s work as a matchmaker this February 14th, then you know there’s no better time of year to review your social media marketing strategy through a romantic lens. Based on our work measuring and optimizing the performance of social media marketing for some of the world’s biggest brands, here are some simple steps to help you get your leads to say “I do” — without even overpaying for chocolates. Just as with real life, there’s nothing stopping you from using social media to score some fleeting romance … but Mardi Gras isn’t for another month, and Valentine’s Day is more commonly associated with finding true love. The smart marketer aspires to acquire and retain customers for the long haul. Social can do more than generate interest for your brand: with proper planning and careful execution, your social campaign can actually lay the groundwork for a mutually fulfilling, committed relationship. If you have only a fuzzy notion of what you want out of your social media marketing, you’ll get fuzzy results, so ask yourself in advance, What do I want out of this? Many brands stop at the mere flirtation of Likes and Retweets, but you can — and should — engage customers with an actual business goal in mind and an ROI to measure against. Your goal doesn’t have to be a transaction: it could be a coupon download, webinar registration, mailing list signup, or video view. But know in advance what you’re pursuing. This will guide you as you create your social content and plan your execution. 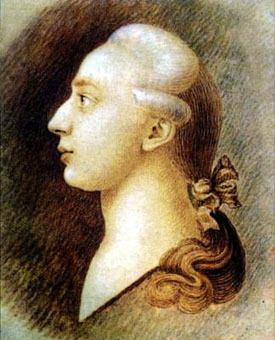 Giacomo Girolamo Casanova planned his dates like you wouldn’t believe. Entire books have been written about the Casanova method: complicated plots, heroes and villains, and gallant outcomes, coupled with meticulous attention to small details, all engineered to overwhelm his beloved with excitement, gratitude, and infatuation. First of all, think about that the next time you spend 4 minutes lining something up on OpenTable while concurrently brushing your teeth. More importantly, consider every element of your marketing funnel as part of a courtship to win over your customers. Beyond the superficial charm of a witty Tweet, does your site’s user experience surprise and delight your visitors? Do your copy and interaction design help guide them to a more fulfilling conversion? Do your visitors find content worth sharing, and feel invited to engage more deeply? Like Casanova, script every element of your interactions to attract your prospects to commit. Nowhere does the old adage about failing to plan is planning to fail ring more true. We don’t recommend going on a date without making eye contact — did he like the wine I picked?, is there something in my teeth?, was that story about my mom funny?… — and you shouldn’t fly blind with social media marketing, either. When it comes to tortured romantic metaphors, think of social media marketing less like a flock of doves you release once and watch take to the sky, and more like a moonlit gondola which you continue to steer down the canals. The tools now exist to monitor every post from the moment it goes out, and not just the Likes or Retweets it gets out on the social networks, but the site visits, pageviews, and funnel conversions that result. Use this feedback to adjust and optimize over the course of the campaign. If a given social network or a given style of content performs better, don’t be afraid to switch things up. On one recent campaign, an awe.some customer launched with the intention of relying heavily upon influencer tweets, but less than a week in realized that earned social posts attracted more valuable traffic, so they quickly upped the size of their share buttons. Don’t be afraid to switch things up and do more of what works — just like those killer stories about Mom. Keep your messaging true to your brand voice, and be transparent about your intentions. You can only truly love those who love you back, so pre-qualify your customers by accurately representing the value you provide. If you steer clear of gimmicks or gotchas, those who engage with your content, visit your site, and proceed down your funnel stand the best chance of converting into a life-long fulfilling relationship … or at least a happy customer. Love is a battlefield, so suit up. This Valentine’s Day, you’ve got this, you old heartbreaker, you.